Mega Sale! 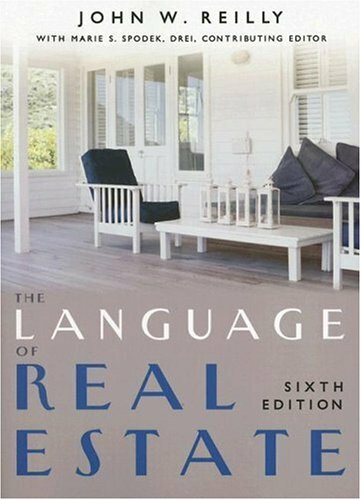 Save 21% on the The Language of Real Estate by Dearborn Real Estate Education at Translate This Website. Hurry! Limited time offer. Offer valid only while supplies last. From abandonment to zoning and over 2,800 terms in between, The Language of Real Estate has every term that real estate professionals need to know. From abandonment to zoning and over 2,800 terms in between, The Language of Real Estate has every term that real estate professionals need to know. This industry bestseller is a must-have for all students, practitioners, and educators, and is also available in both an English and Spanish abridged pocket guide format for those real estate students on the go. If you have any questions about this product by Dearborn Real Estate Education, contact us by completing and submitting the form below. If you are looking for a specif part number, please include it with your message.